WASHINGTON, DC, April 23, 2013 (ENS) – The U.S. Environmental Protection Agency must meet a court-ordered deadline to issue regulations that clean up power plant water pollution, the U.S. Court of Appeals for the District of Columbia ruled today. The decision turns back an attempt by the utility industry to avoid the financial and operational burdens of the regulations. On Friday, the EPA proposed a series of regulatory options for controlling pollution from power plants, such as mercury, arsenic, lead, and selenium, released into waterways by coal ash, air pollution control waste and other waste from steam electric power plants. Today’s decision rejects utility industry efforts to derail the schedule for finalizing a rule in May 2014. In 2010, environmental groups sued the EPA for failing to regulate power plant water pollution. As part of that lawsuit, the groups agreed with EPA in a consent decree to a timeline for establishing new federal regulations for these water discharges. The Utility Water Act Group, UWAG, a trade association of energy companies, challenged that consent decree. Today the appeals court denied UWAG’s challenge, rejecting claims that the rulemaking process injures the industry. Under the proposed approach, new requirements for existing power plants would be phased in between 2017 and 2022. The EPA says the regulation will reduce pollutant discharges by up to 2.62 billion pounds annually and reduce water use by up to 103 billion gallons each year. “The court’s decision is a victory for communities that live downstream of coal-fired power plants, and the health of our rivers, lakes, and streams,” said Jennifer Duggan, managing attorney at Environmental Integrity Project, one of the litigating groups. Steam electric power plants currently account for more than half of all toxic pollutants discharged into streams, rivers and lakes from permitted industrial facilities in the United States, according to the EPA. High exposure to these types of pollutants has been linked to neurological damage and cancer as well as damage to the circulatory system, kidneys and liver. Toxic heavy metals do not break down in the environment and can also contaminate sediment in waterways and impact aquatic life and wildlife, including large-scale die-offs of fish, the agency said in a statement Friday. EPA has put a focus on ensuring any final rule would protect public health while being sensible and achievable. Power plants that are smaller than 50 megawatts would not be impacted by these new standards. 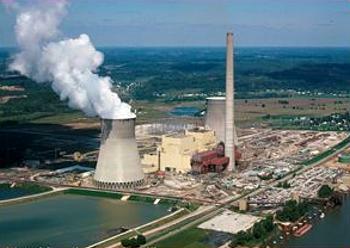 The EPA says that more than half of the 500 coal-fired power plants in the United States would be in compliance without any further cost because many of them already have the technology and procedures in place to meet the proposed water pollution control standards. The EPA proposal updates standards that have been in place since 1982, incorporating technology improvements in the steam electric power industry over the last three decades as required by the Clean Water Act. The proposed national standards are based on data collected from industry and provide flexibility in implementation through a phased-in approach and use of technologies already installed at a number of plants. The four preferred options differ in the number of waste streams covered – such as fly ash handling systems, treatment of air pollution control waste and bottom ash – the size of the units controlled and the stringency of the treatment controls to be imposed. EPA also announced its intention to align this Clean Water Act rule with a related rule for coal combustion residuals, CCR, also known as coal ash, proposed in 2010 under the Resource Conservation and Recovery Act. The two rules would apply to many of the same facilities and would work together to reduce pollution associated with coal ash and related wastes. EPA is seeking comment from industry and other stakeholders to ensure that both final rules are aligned to reduce pollution efficiently and minimize regulatory burdens. “This is a very complex rulemaking, and we’re still in the process of reviewing EPA’s proposed guidelines,” said Tom Kuhn, president of the Edison Electric Institute, the association of U.S. shareholder-owned electric companies. “The new guidelines come at a time when the industry is already adapting to EPA’s new Mercury and Air Toxics Standards (MATS) and other new federal and state rules,” said Kuhn. “We look forward to working with EPA to develop a final rule that achieves the goal of cleaner water, while minimizing the economic impact on the industry and its customers.